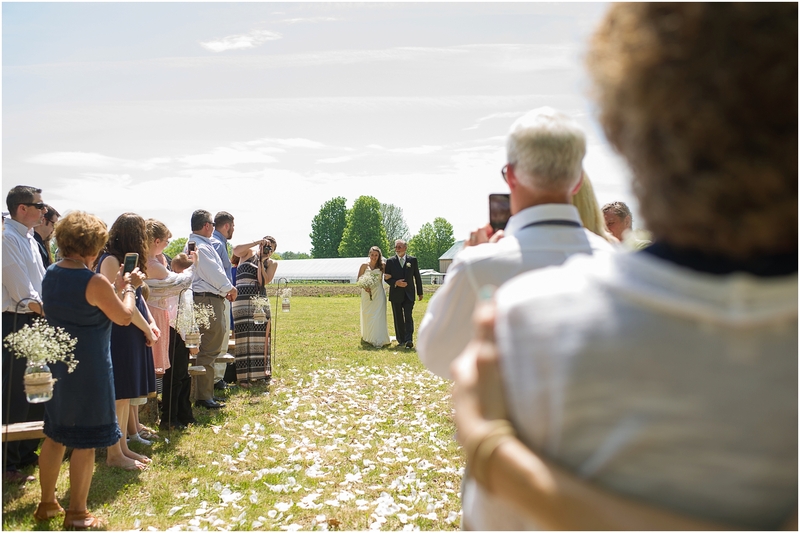 Thinking about a cellphone free ceremony? This blog post has been on my mind for some time and hopefully this will help you decide. I have photographed so many weddings. So. Many. I’ve been a guest at a lot of weddings too. Before I started in the wedding industry I attended a lot of weddings when no one took cellphone pictures. I have to say that the amount of cell phones out during the ceremony now is crazy. I will admit that I’ve been there. I’ve been the guest with the massive camera, taking pictures, getting in the way and I need to say a big I’M SORRY to all the photographers that I’ve annoyed. I recently photographed a wedding where I counted 8 phones just in the view of the bride walking down the aisle. That was just phones. There have been iPads out with people taking photos on them as well. If you are just like me you love taking pictures. I get it, I really do! You want to have the pictures of your loved ones walking down the aisle. Or the groom seeing his bride for the first time. But what if we all lived in the moment and enjoyed seeing the ceremony through our eyes and not a screen on our phone or iPad? How wonderful would it be to have an unplugged wedding ceremony? Experience something through our own eyes and not through a device? If thats not enough of a reason then think about your pictures 10, 20, 30 years from now. You’ll probably be looking through your album and see all the cellphones out and think, wow, those phones look so old instead of looking at how gorgeous you look. Am I right? If you are getting married and are in the midst of planning your day why not have an announcement before the ceremony starts that you’ve decided to go cellphone free for the ceremony. Have your guests put their phones away, just enjoy the moment, be present for the most important part of the wedding day. I think your family and friends will understand. This is why you hired a professional so that guests could just simply enjoy the ceremony. After the ceremony by all means go crazy taking pictures and hashtag away! Still not convinced? Check out this great article on the huffington post about having a cellphone free ceremony or going totally unplugged.